RUAG provides tactical communication solutions for defence forces. We have a wide experience in radio integration, mobility management, integrated voice and data communication and meshed robust communication topologies. IMFS (Integrierte Militärische Fernmelde-System) is the tactical telecommunication system for voice and data of the Swiss Army. It provides high mobility, robustness through meshed topology, and information security. Introduction of the system took place around 2000. RUAG is the general contractor on behalf of armasuisse. The central element is the IMFS node which can be equipped with terminal, trunk and IP-router modules. 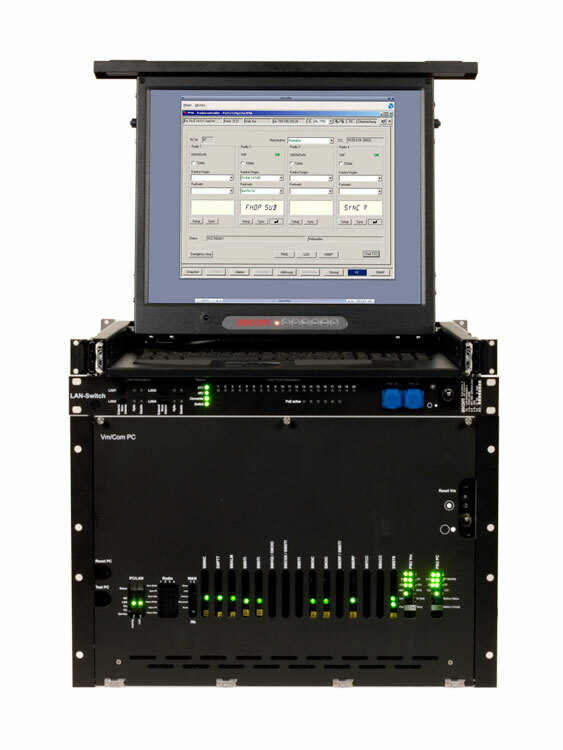 As ordered in 2006 the IMFS is equipped with the Com Rack, which extends the classical IMFS services by advanced features such as the IP adaptation for legacy radios. The Com Rack, which is based on the Tactical openAccess platform of products is available in a 19’’ variant for installation in containers and wheel-based vehicles and as a ruggedized variant for installation in tracked vehicles. An evolution to an IP enabled Tactical Information Network, which is well under way, will provide an integrated foundation for a future Tactical Communication System of the Swiss Army.